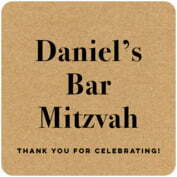 Make your bar mitzvah an unforgettable event, and increase the festive mood, with the addition of bar mitzvah coasters for the tables. 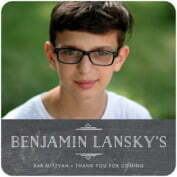 Use a photo coaster style, with a current photo of your young man. 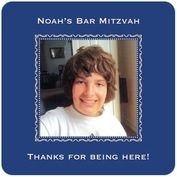 Or make several different coasters, each with a different photo of your special guy over the years. 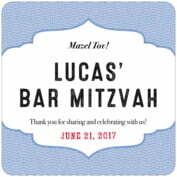 Or simply choose from our many stylish bar mitzvah designs and choose a color, to set the style and colors of your happy celebration. 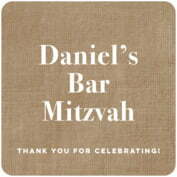 Select a bar mitzvah coaster style below to get started. 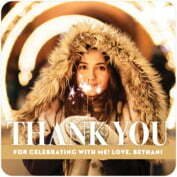 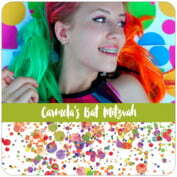 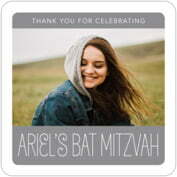 Use your words and pictures with our coaster styles, shapes, and colors. 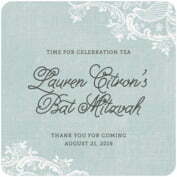 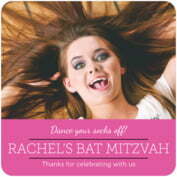 Our personalized bat mitzvah coasters are designed to match our label styles and colors, and you can expect the same exacting quality and individual typographic styling as you get on our labels. 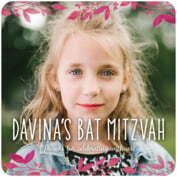 The coasters are personalized with your words and are printed in color on one side, on absorbent extra-thick coaster paper. 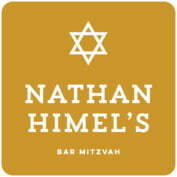 They come 12 coasters to a set, and there is no minimum order. 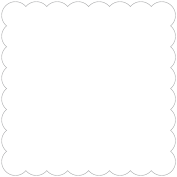 Because the coasters are made of absorbent paper, they are by nature disposable; however they are quite durable and can withstand light use if not saturated with liquids or foods. 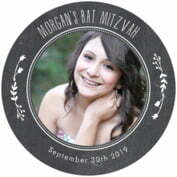 They are the perfect keepsake if kept wrapped and not used. 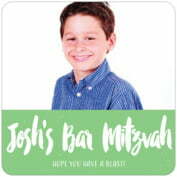 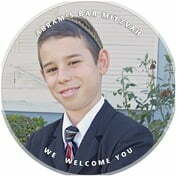 Custom bar mitzvah coasters also make excellent favors or gifts for long-distance events because of their small size and personalized message. 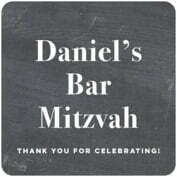 They are perfect for a traveler to bring to bar mitzvot and bat mitzvot, thirteenth and twelfth birthday parties, jewish coming of age ceremonies, B'nai Mitzvah, second bar mitzvahs . 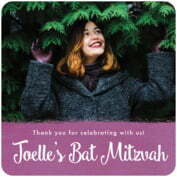 Or you can use them to serve drinks to guests, use them for your dinner party, or give them as a hostess gift when you visit friends.